It’s St Patrick’s Day with Guinness. With any other beer it’s just Tuesday. 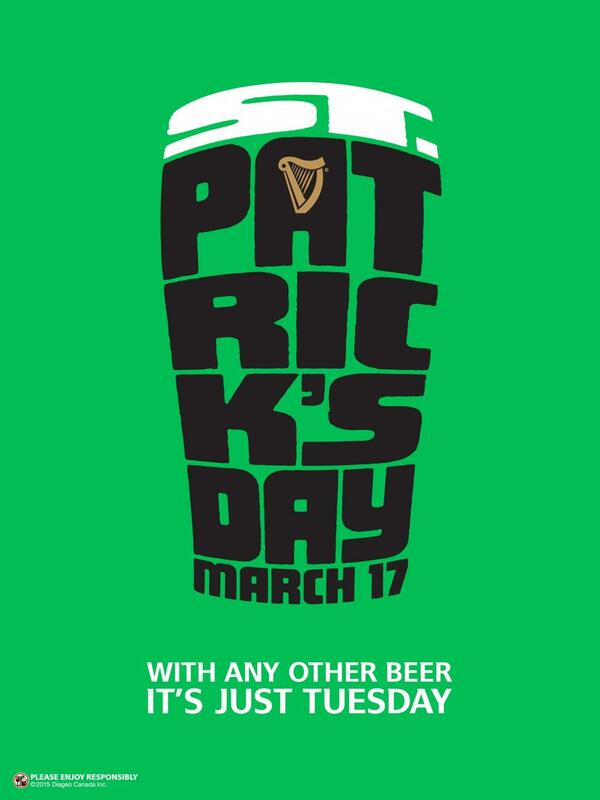 The simple message from Guinness Canada, delivered in the customary green of St Patrick’s Day. The ad was developed at Traffik, Toronto, by executive creative directors Cam Boyd and Tory McGuinness, art director Phil Smith, copywriter Sarah Deziel, typographer Travis Lalonde, account director Andrew Reeves and account supervisor Amanda Johnston.